Add some new life to a room by adding a feature wall! 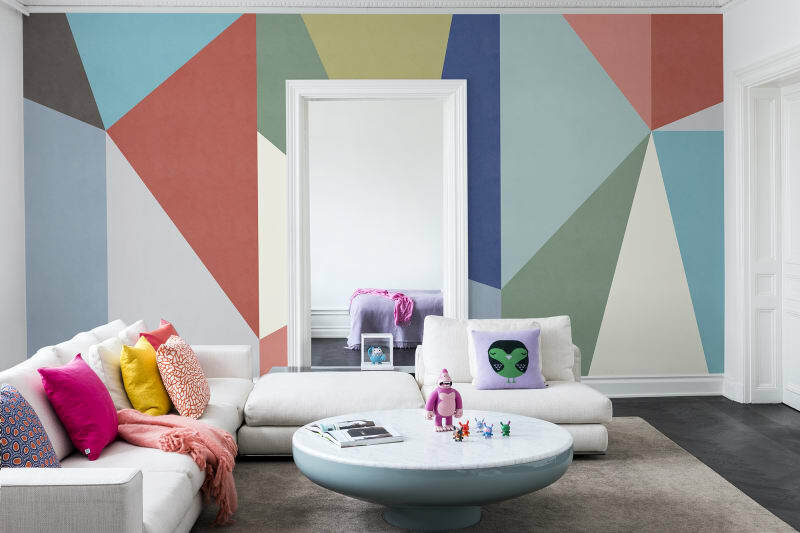 A feature wall is a simple and quick way to add a colourfulpop to your home and best of all, it’s an easy weekend project that won’t hurt the bank. 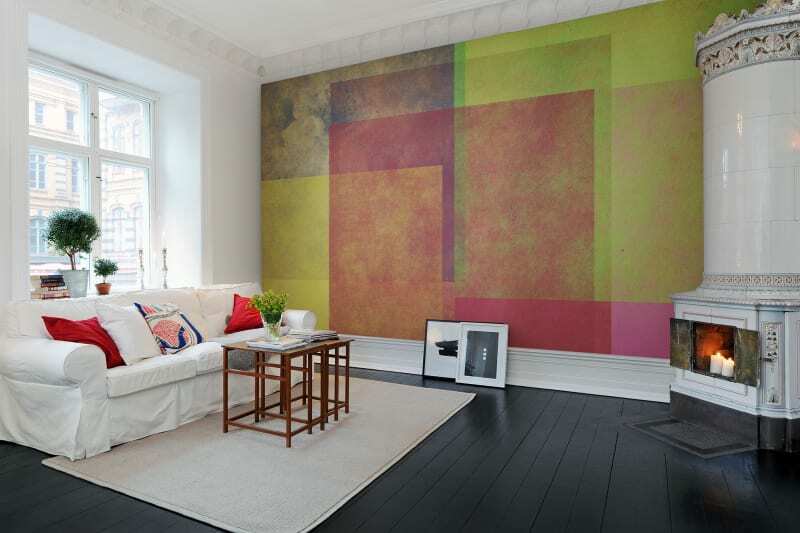 A feature wall is usually a strong colour, which can add mood, vibrancy or even texture to a living space. Alternately, a feature wall can be a light wall in a dark room. Some people even choose to make a feature of two walls, opposing or adjoining, which canadda great effect. 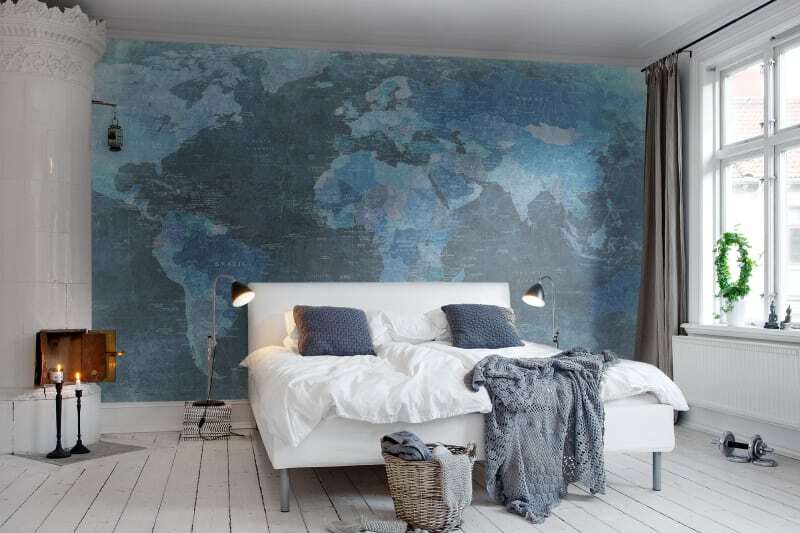 Bedrooms and most living areas can benefit from a feature wall, but don’t feel limited, be adventurous! Even a bathroom can be a good option. Remove any objects or pictures from the wall. Shift furniture well clear and place drop cloths or sheets on the floor against the wall. These will protect your floor from any cleaning materials or spilled paint. If your wall is in good condition, all you need is to make sure it’s dust free. If your wall is damaged you will need to fill, sand and prime before painting. Talk to your local PaintRight store for all the tools required for special treatments and undercoats. For dirty walls (kitchen and bathrooms are often grime covered) use cleaning solution mixed at the recommended ratio with water (see the packaging for ratios). Simply wipe down the walls with an open weave cloth and allow the walls to dry – two hours minimum. Have a look at the latest range of colours. Your local PaintRight specialist will have some great suggestions. In the bedroom you might want to try something warm and soothing, so golden browns, terracotta, and even metallic golds can be attractive. Blues and greens are cooling colours that can blend well with a garden window. Reds are hot, fiery and passionate so use them with care! There are a number of finishes available to suit your new vision. For interior walls, you would typically use a low sheen finish. Your PaintRight specialist can show you samples of most finishes before you decide. Paint Tip: Allow around 1litre of paint for every 14 square metres of wall. You can calculate the total area of wall by multiplying the height x width in metres. Before anything – stir the paint! Now do all the edges with a 50mm brush. Paint a strip at least 10cm wide and don’t worry about the inside edge – we’re going to paint over that! After a little practice you’ll be quite adept at wriggling the brush along gently to get a nice sharp edge. If you’re worried that you might not be able to get a sharp edge, you can mask the edge with low-tack masking tape. Another great idea is to use a paint edger – a little device that makes sure you can’t run over the edges. Once you’ve gone right around the feature wall and any doors or windows, you’re ready for the roller. The application instructions differ for each product, there are many ways you can apply each product depending on the look you want to achieve. You may need 2-3 coats to really make your new feature wall pop! Talk to your PaintRight professional for the best application techniques. A well-ventilated room will dry quicker, as the air can flow freely throughthe room. Once you have finished, sit back and admire your work! See how painting one wall can make the whole room feel new! Before moving your furniture back against the wall, allow for sufficient time to let the paint set. Speak to your PaintRight professional for the best advice on drying times. Once you realise how easy a feature wall can be and what a great result you get, why not do another? This time you might like to try a special effect or finish to add texture and individuality. Ask your local PaintRight store for ideas, the possibilities are endless. This is a great project to get older kids involved in. If they mess it up you can just repaint it! Best of all, a feature wall doesn’t cost much to do.